Is Replacement Theology Anti-Semitic– or is it Biblical? In our previous installments (see article #9 particularly) we have emphasized how critical it is to see that Israel, her Land, her City, her Temple, her priesthood, her sacrificial cultus, were all types and shadows of the “better things about to come” (“about to come” from the first century perspective, Colossians 2:14-17/ Hebrews 10:1-2). It is impossible to over-emphasize this point, because in the Dispensational paradigm, the “shadow -V- reality” motif is all but ignored or denied. But, once it is admitted to be a Biblical truth, i.e. Israel and the Old Covenant world was the type, pointing to Christ, then Dispensationalism is falsified, since the NT unequivocally, undeniably and explicitly posits the Body of Christ, the church, as the fulfillment of those Old Covenant types! Some leading Dispensationalists, perhaps seeing the proverbial “train coming” perhaps, have sought to deflect attention away from this issue, by making some amazing claims. Pentecost says- “Eschatological studies are not concerned with…the Mosaic Covenant made by God with man, inasmuch as all these are temporary and non-determinative in respect to future things, but only with the four eternal covenants given by God, by which He has obligated Himself in relation to the prophetic program.” (Dwight Pentecost, Things to Come, Grand Rapids, Zondervan, 1980)67. Strangely enough, however, in spite of denying a connection between Torah and Telos, Pentecost says that Israel remains “the determinative purpose of God.” (1980, 471). See my book, Torah To Telos: The Passing of the Law of Moses (vol. 1) for a thorough refutation of this view. While there is no doubt at all that Biblical eschatology is concerned with the fulfillment of the Abrahamic Covenant, it is equally true – and indisputable – that for Paul, the fulfillment of the Abrahamic promises would be at the end of Torah! 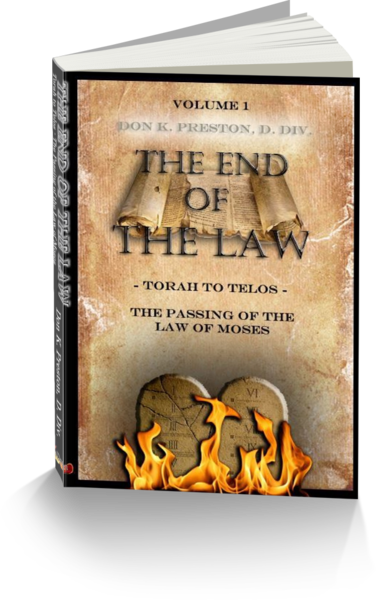 This book proves that the end of the Law of Moses is the time for the fulfillment of God’s promises to Israel! If eschatology is about the fulfillment of the Abrahamic Covenant – and make no mistake, it is! – but is not related to the end of the Mosaic world (per Pentecost), then how could Paul say that what was happening in his ministry – i.e. the ending of the Mosaic World (2 Cor. 3-4), and the calling of the Gentiles–was in fulfillment of the Abrahamic promises (Romans 4 / Galatians 3-4. 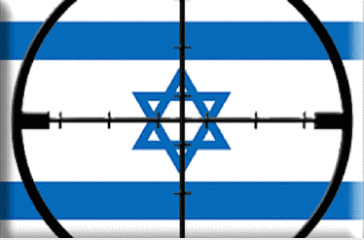 Likewise Peter, Acts 3), and the prophecies made to Israel under the Law? The failure of Pentecost and the Dispensationalists is that they fail to see that the eschatological promises made to Abraham (and to Adam!) were subsumed under Torah, and foreshadowed in Israel’s cultic, ceremonial world! Hebrews 11 demonstrates this in a powerful way. Notice that Hebrews traces the eschatological hope of all of the ancient Worthies from Creation all the way to his day! Not once does he delineate between the hope of Abraham, the Covenant promises of Abraham, and the hope of Israel under Moses and Torah. There was, for Paul, but “one hope” (Ephesians 4:4f). That one hope was the heavenly city, the heavenly “fatherland” (Hebrews 11:13-16), and included the “better resurrection” (v. 35). To put it another way, Abraham did not have a resurrection, New Covenant hope that was different from or divorced from the New Covenant and resurrection hope of Israel. Note that in Hebrews 11 we are told repeatedly that those OT worthies were not focused on land (dirt) or city– that is, on earthly realities. As we saw earlier, God assuredly gave material promises, and He fulfilled them. But, the Worthies looked beyond those things to better things! They saw beyond the shadow to the reality. Pay particular attention to the City that Abraham longed for. Replacement Theology — Replacing the Old City with the New! 1. The Worthies saw the fulfillment of the promises given to them “far off”! This shows that they clearly were not expecting fulfillment in their lifetime! Of course, Jesus said that “Abraham longed to see my day, and he saw it, and was glad” (John 8:56). This is prima facie proof that when God promised Abraham “the land” that Abraham was not focused on “dirt” and he was not expecting fulfillment “personally” in his day. He looked far away, down the stream of time. 2. Jesus said Abraham – looking to the time of fulfillment of God’s promises to him – saw Jesus’ day! This is irrefutable proof that the time for the Abrahamic promises of the City, the Land and the resurrection was to be fulfilled in Jesus’ generation! It likewise shows that no matter how the Dispensationalists want to deflect attention away from the body of Christ, the indisputable fact remains that it was Jesus’ day when the Abrahamic promises were to be fulfilled. This is a massive refutation of Dispensationalism! So, just as Hebrews 10:1-2 told us that the law was still a shadow of the better things about to come, he then says they were standing at the foot of Zion, the locus of Abraham’s eschatological hope! Of course, one would hope that it does not have to be stated that the audience was not at the foot of literal mount Zion! The writer was not concerned with the literal Jerusalem! In fact, he urged his readers to abandon that city (Hebrews 13:14) because it was not to endure, in contrast to the Zion that was about to come, which is eternal, and cannot be shaken (12:28). This has profound implications for modern Dispensationalism that places so much emphasis on the earthly, temporary city of Old Covenant Jerusalem. Hebrews shows us true, Biblical Replacement Theology! It is not negative unless one places the improper emphasis on the literal city of Jerusalem – as modern Dispensationalists do! It is not negative, unless one wishes to hold onto the shadows and ignore the body. But, for the writer of Hebrews there could be no mistake – and hopefully for us when we read -the Old Covenant City was about to be replaced by the New Covenant, eternal, unmovable City of the Living God. What Hebrews does is to show us how misplaced Pentecost was to say that eschatology is unrelated to the end of the Law of Moses. Everything in Hebrews shows us that Torah, the Old Covenant, was to be replaced by the New Covenant realities of Jesus the Messiah. And these realities were and are to remain eternal. This means that the Replacement Theology of Dispensationalism that says the church will one day be replaced by Israel is false. The body of Christ will never be replaced or give way to the Old Covenant types and shadows. Biblical Replacement Theology (more properly fulfilled theology), always anticipated that the Old Covenant City would ultimately be replaced by something better, something, greater, something eternal. This is what Abraham longed for! And that better, eternal City is the heavenly Jerusalem, the true Zion that has come down from God for God to dwell with man!